Sysco is valued at $35 billion and employs 67,000 people. Last year, Sysco pulled in $59 billion in sales. That works out to $877,000 per worker. As mentioned before, Sysco has paid a dividend every quarter since 1970. We can look at the dividend trend over the last year to determine Sysco’s valuation. Sysco paid investors $0.94 per share a decade ago. 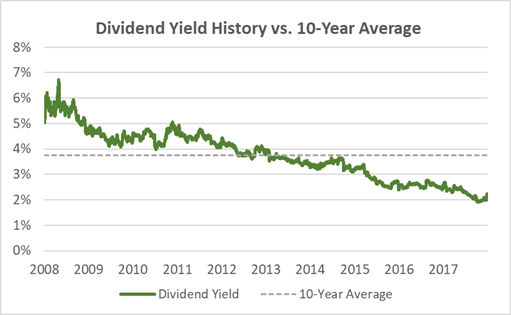 But over the last 10 years, the dividend has climbed to $1.41. That’s a 50% climb. The annual changes are in the chart below. The compound annual growth is 4.1% over 10 years… but over the last year, the dividend jumped 8.5%. 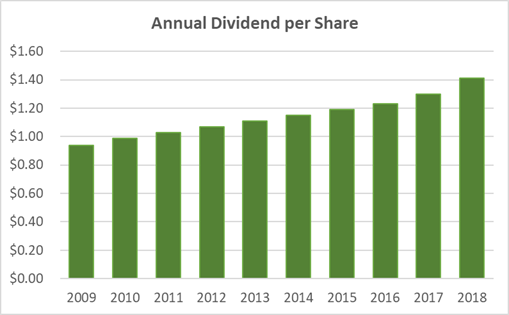 The dividend growth increase is a good sign, but we need to look at more to determine if it’s a worthwhile income investment. Sysco’s dividend history shows that it’s been one of the best dividend stocks around. The long history makes Sysco’s dividend yield a useful indicator of value. In general, a higher yield is better for new investors. 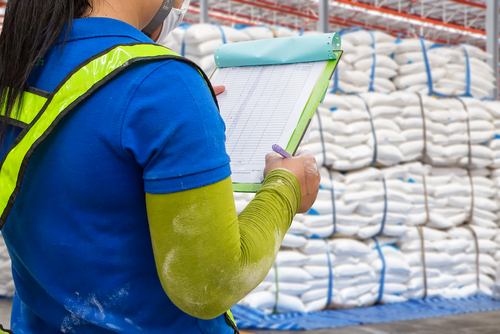 When researching dividend safety, investors generally look at the dividend payout ratio, or the dividend per share divided by the net income per share. So a dividend payout ratio of 75% would mean that for every $1 Sysco earns, it pays investors $0.75. 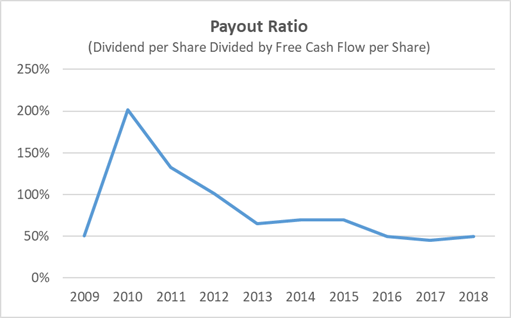 Here’s Sysco’s dividend payout ratio history based on free cash flow. Sysco’s dividend payout ratio spiked well above a safe level… but the trend is down, and Sysco’s dividend looks safe for the next few years. The last reported year shows a payout ratio of 50.1%. This gives plenty of room for Sysco’s board of directors to continue raising the dividend.